Email notifications are one of the easiest ways to stay plugged into the conversation. That in mind, there are three easy ways to subscribe via email. 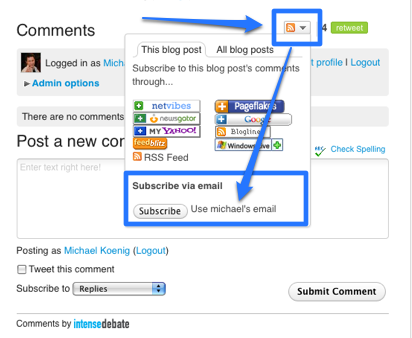 This option is located in the RSS menu in the top right of the comment section and is available to everyone: IntenseDebate users, along with commenters posting either as Guests, with Facebook Connect, Twitter Sign-In. 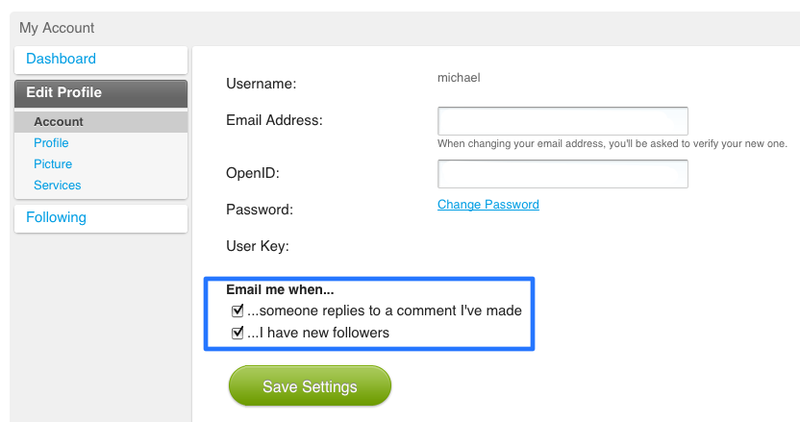 You can opt to receive email notifications for a single post or for comments on all posts. 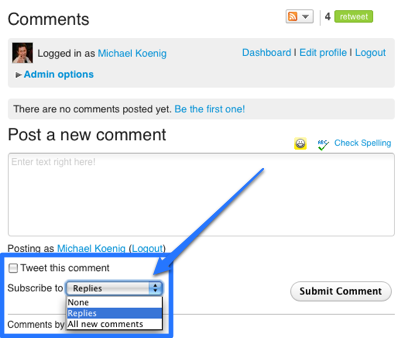 When you post your comment you can opt to receive email notifications for all comments or just for replies to your own. This option is available to all commenters (IntenseDebate accounts, Facebook Connect, Twitter Sign-In, and Guests). Tags: email notifications, features — Can't find your answer here? Let us know.